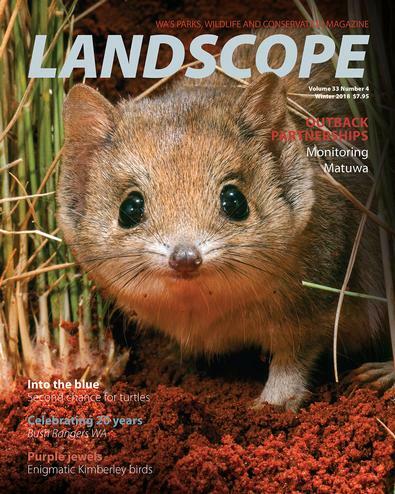 LANDSCOPE is devoted to showcasing Western Australia's parks, wildlife and conservation. Each beautifully designed, seasonal issue features stories about WA’s beautiful parks, fascinating plants and animals, and shares tales of those working to conserve these unique assets. There are also features about ways to enjoy WA’s natural areas and a section on new research and discoveries. The pages are brought to life by stunning photography. Published four times a year, LANDSCOPE is perfect for anyone interested in travel, camping, 4WDing or nature appreciation. It can be enjoyed as a cover-to-cover read, used for inspiration for your next trip, and referred to time and time again for its wealth of information. Wonderful! Absolutely loved reading. It was easy to read and interesting.